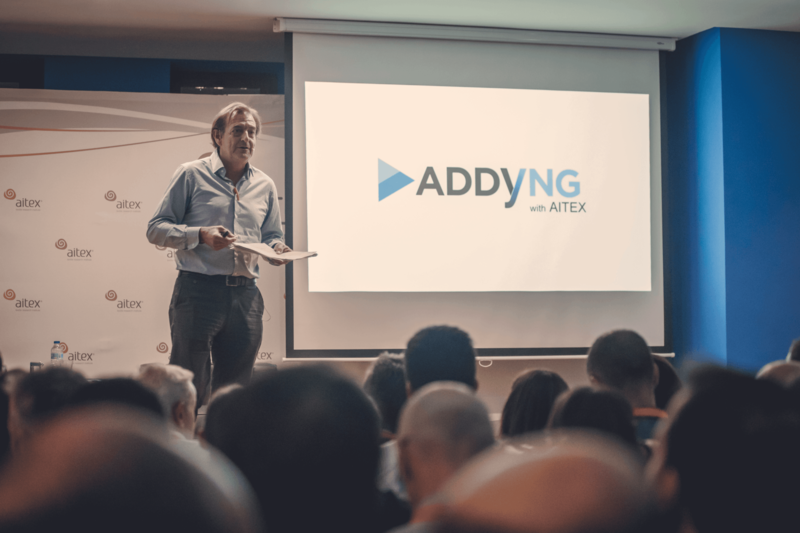 A new platform has been created (www.addyng.com), to improve collaboration between our associates, promoting the creation of B2B contact between manufacturers and consultants and among a variety of companies seeking introductions through AITEX to create partnerships for particular projects. Each associate should register on the platform and then complete their user profile, describe the services they offer and include photographs if they wish. The platform has a directory showing every company registered, classified by subsector and geographical region. The directory will help members gain visibility, allowing our associates and companies who are external to the platform to make contact and do business. Within the private section, companies will be able to post offers or request services on the advertising noticeboard. A section offering up to date textile news and news from other areas which may be of direct or indirect interest; publicity editorials reporting on success stories; information on new collaboration projects, grant calls, etc. Companies can access information on Business Seminars including: registration details, downloads of the presentations, videos and photos. There is also detailed information on the various ad hoc training courses offered by AITEX. ADDYNG.COM also offers a head-hunting service for associates seeking to fill posts locally, nationally and internationally.